Making use of recent masculinity theories, Joseph A. Kestner sheds new light on Victorian and Edwardian adventure fiction. Beginning with works published in the 1880s, when writers like H. Rider Haggard took inspiration from the First Boer War and the Zulu War, Kestner engages tales involving initiation and rites of passage, experiences with the non-Western Other, colonial contexts, and sexual encounters. Canonical authors such as R.L. 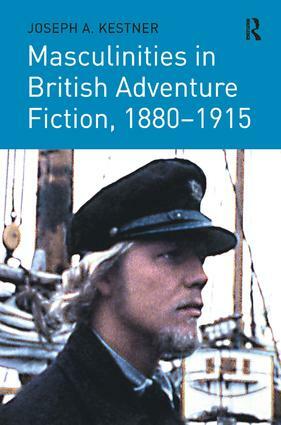 Stevenson, Rudyard Kipling, Joseph Conrad, and Olive Schreiner are examined alongside popular writers like A.E.W. Mason, W.H. Hudson and John Buchan, providing an expansive picture of the crisis of masculinity that pervades adventure texts during the period. Author of seven monographs, Joseph A. Kestner is McFarlin Professor of English and Chair of Film Studies at the University of Tulsa, where he specializes in masculinity theory and Victorian and Edwardian studies.